Suggest that your boy team a grey sweater with 7 For All Mankind toddler boys three piece denim jacket tee jeans set for a fun day out at the playground. 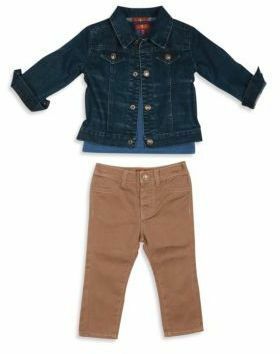 Suggest that your little angel pair a navy jacket with 7 For All Mankind toddler boys three piece denim jacket tee jeans set for a comfy outfit. Black sneakers are a smart choice to round off this outfit. 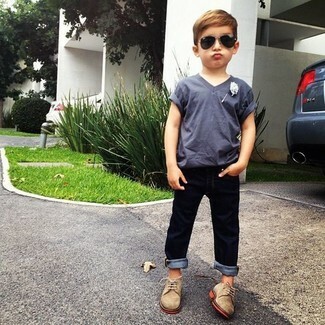 Suggest that your little angel wear a grey t-shirt with navy jeans for a fun day in the park. 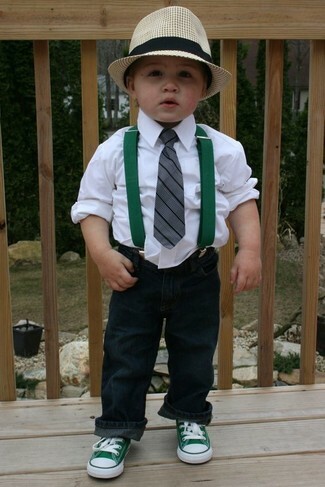 Tan oxford shoes are a wonderful choice to complement this look. 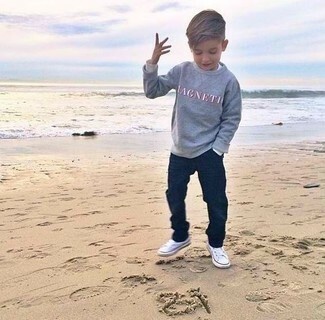 Suggest that your little guy wear a grey print sweater and 7 For All Mankind toddler boys three piece denim jacket tee jeans set for a fun day out at the playground. 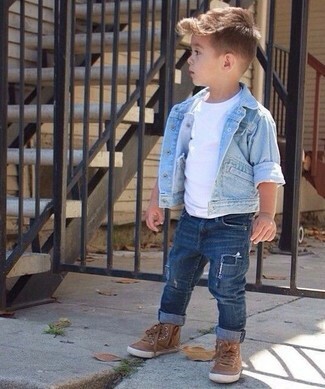 As for footwear your little man will love white sneakers for this style. Go for a white long sleeve shirt and navy jeans for your little man for a comfortable outfit that's also put together nicely. As far as footwear is concerned, let your kid choose a pair of green sneakers. 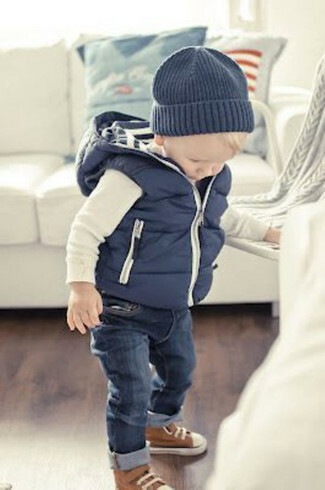 People will swoon over your son if he wears this combo of a navy gilet and 7 For All Mankind toddler boys three piece denim jacket tee jeans set. Brown sneakers are a great choice to complete this getup. 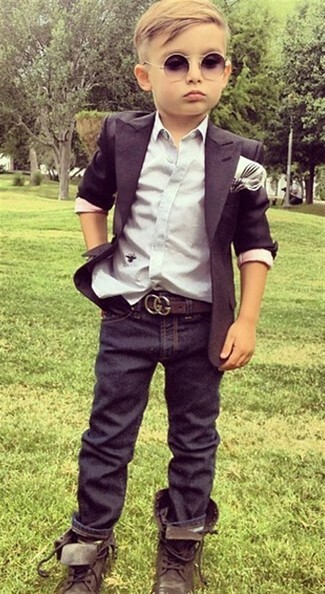 This combo of a black blazer and 7 For All Mankind toddler boys three piece denim jacket tee jeans set has all the potential to become your kid's favorite. Dark brown boots are a wonderful choice to complete this look. 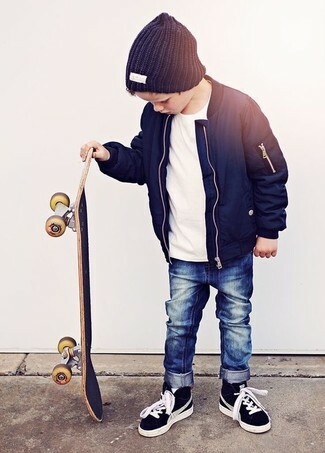 Suggest that your darling wear a light blue denim jacket and 7 For All Mankind toddler boys three piece denim jacket tee jeans set for a fun day out at the playground. Brown sneakers are a great choice to complement this style.